AN UNFORGETTABLE EXPERIENCE FOR ALL WHO ATTENDED The XV National Community Languages School Conference was held on Saturday, October 6, 2018, in Brisbane. Over 120 teachers from over 30 communities from around Australia attended. The winners of the third annual SBS National Languages Competition have been announced. Here they share their passion for learning another tongue. 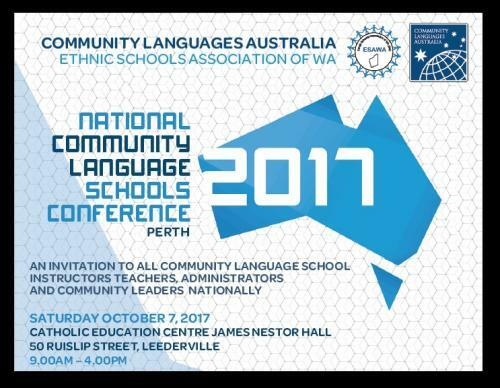 The 14th National Community Languages Schools Conference held in Perth on Saturday October 7, 2017 at the Community Catholic Education Centre, attracted over 200 participants from over 30 communities - a collage of language and cultural backgrounds.